Get up out of your chair! The health effects of sitting. Get Up Out Of Your Chair! Research shows that the detrimental health effects of sitting are taking years off the life of the average office worker. It sounds incredible, but sitting for more than 3-hours per day can shorten your life expectancy by 2-years, and it is likely that you don’t even get a say in it. More importantly though, it’s the general health and quality of life which may be reduced by sitting for too long. Sitting for more than 8-hours a day has also been associated with a 90% increased risk of Type 2 Diabetes (Wilmot et al., 2012). For reference, a similar shortening of the lifespan is expected from things such as smoking, poor nutrition, and alcoholism but most people see these as a definite choice that they can avoid. But how many of you have no choice but to sit in your workplace? Many workplaces do not have an alternative to sitting at a desk for long periods. Unfortunately even participating in high amounts of moderate to vigorous physical activity outside of the workplace will not negate the effects of sitting through the workday. Importantly, associations with mortality risk do not appear to be mediated by two important confounders – body mass and time spent in leisure-time moderate-to-vigorous physical activity (Dunstan et al, 2012). Sitting time is a predictor of weight gain, according to a study of Australian women, even after accounting for calories consumed and exercise time (Brown, 2005). Further sedentary activity outside the workplace has also been found to have reduced life expectancy. In fact some Australian research found that every hour of seated television that people watch after age 25 is associated with a 22-minute reduction in their life expectancy (Veerman et al., 2011). Keep the seat and try not to use it: get up as regularly as possible, schedule walking meetings, make yourself move around the office regularly, speak to people in the office directly rather before emailing or calling. 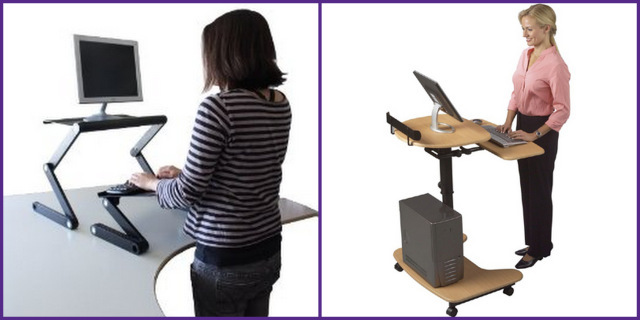 Up-down mix: If you get sore standing all day some desks can be lowered to sit for a rest, then raised electronically or with a winding handle to return to standing. 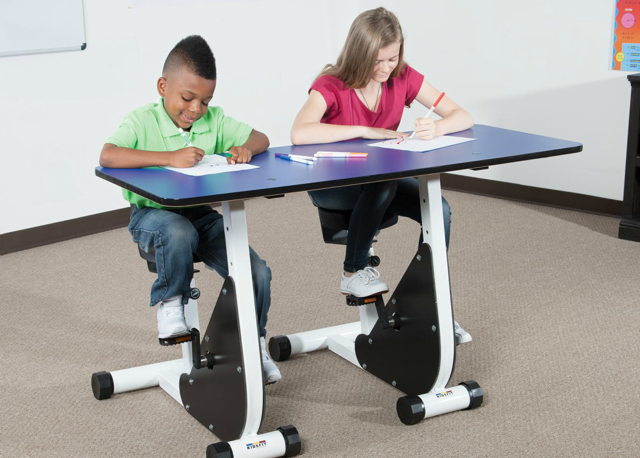 There have even been pedal desk initiatives implemented in schools. See what can be done at your workplace to arrange a work environment with less sitting and your health will be the big winner. Brown, W. J., Williams, L., Ford, J. H., Ball, K., & Dobson, A. J. (2005). identifying the energy gap: magnitude and determinants of 5‐year weight gain in midage women. Obesity research, 13(8), 1431-1441.